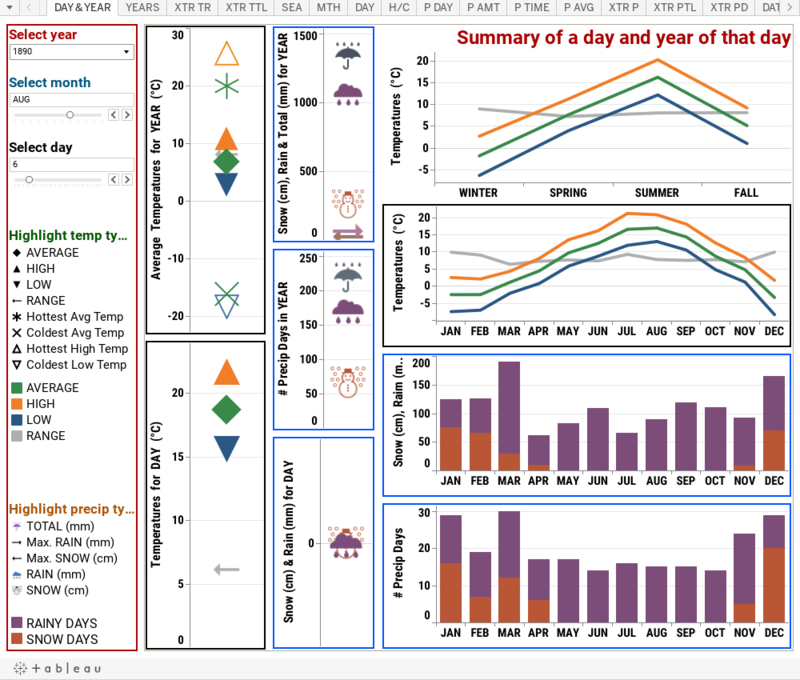 Today's Tableau dashboard exercise has weather for Yarmouth, Nova Scotia. The folks keeping weather data there also did a great job over all that time, similar to those in Sydney, Nova Scotia, to have provided a lot of this data from but a few weather stations. Some locations needed not only a lot more, but a lot more a lot more often! Today's exercise for me was mostly to see how easily interchangeable data sets were for doing essentially the same thing in Tableau, but to provide a different product. Sure, it'd be nice to have these two locations, Sydney and Yarmouth, together in one file. However, that'd add an extra dimension to deal with for those who don't care for the other locations. That plus you'd have to cater to either the lowest common number of years for which you have data, or have missing data pop up every now and then.